Well, I did tell you so! "There are some examples where employees aren’t even charging these vehicles up," said Paul Hollick, The Miles Consultancy’s managing director. "The charge cables are still in the boot, in a cellophane wrapper, while the company and the employee are going in and out of petrol stations, paying for all of this additional fuel. This practice, he added, was "ridiculous". It is true that many drivers may opt instead for plug-in hybrids, but this raises the question as to whether they will simply continue to fill up with petrol, instead of plugging in. If so, it rather defeats the objective of the government’s policy. 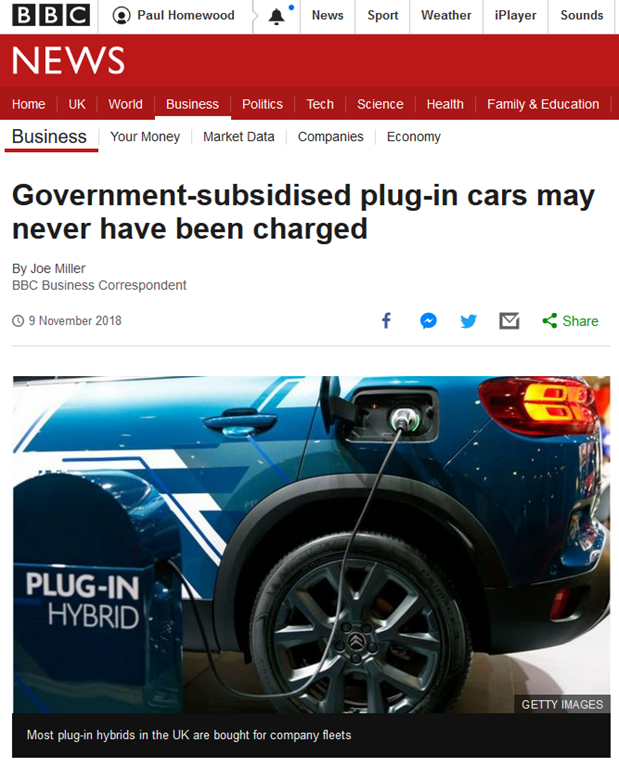 The BBC is vexed about the waste of government subsidies, but this issue underlines how such subsidies undermine the market and distort competition.